A budget but effective case sealer with top & bottom drive belts. Improve the seal quality of your cases and increase your productivity for just £1595.00 + vat including the castors, short infeed and outfeed conveyors. 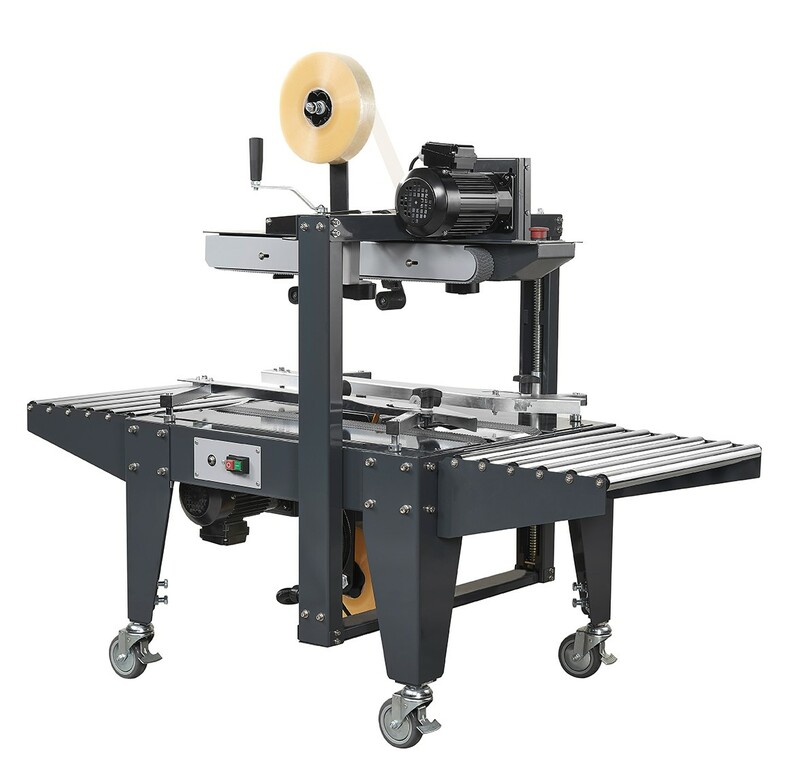 The TMD C46U is produced by Extend who have been our principle suppliers of stretch wrapping machines for 15 years and are by far the largest Asian manufacturer of packaging machinery. It gives a low cost but high quality seal to small to medium sized boxes without the European machines price tag. Easy to set up and adjust our price of £1595.00 plus VAT includes the castors and conveyors as seen in the picture that are usually extra on all the other machines. The price includes delivery to the majority of the UK mainland and it is a plug and play price. For delivery, installation and training by one of our engineers please contact our sales team for a price.